Families that pass down their land without wills or with vague wills are vulnerable to losing their property through a legal procedure known as partitioning. 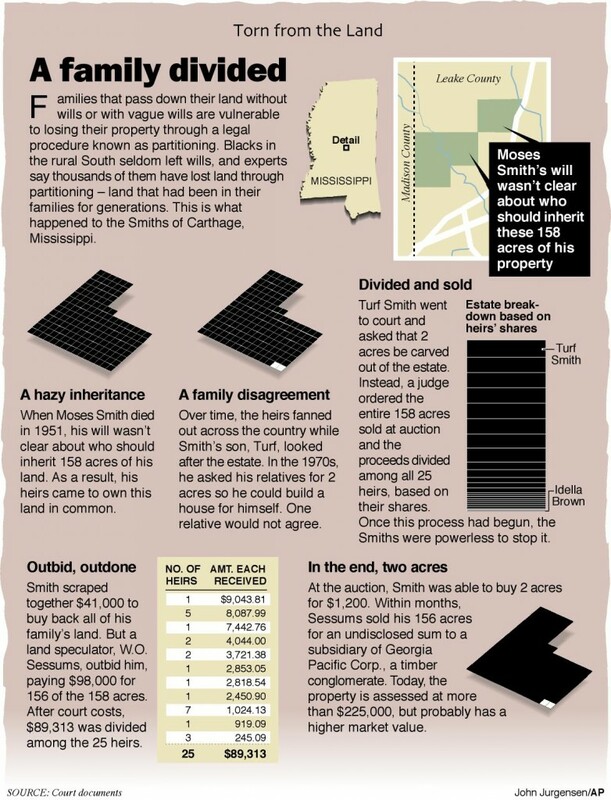 Blacks in the rural South seldom left wills, and experts say thousands of them have lost land through partitioning — land that has been in their families for generations. Torn from the Land is characterized by strong research, attention to detail, sound historical context, and compelling quotes. 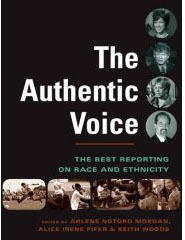 Central to the series’ power is the meticulous investigative reporting of AP reporters Dolores Barclay and Todd Lewan and the decision of editor Bruce DeSilva to allow into the stories only cases that could be proven beyond doubt. The story creates a fresh awareness about the history of African Americans and their descendants.